Oxalis are great perennials for our shady Dallas gardens. However, when humidity is high they can often start to decline for no apparent reason. If you’ll turn over the leaves you may discover why: Oxalis rust. 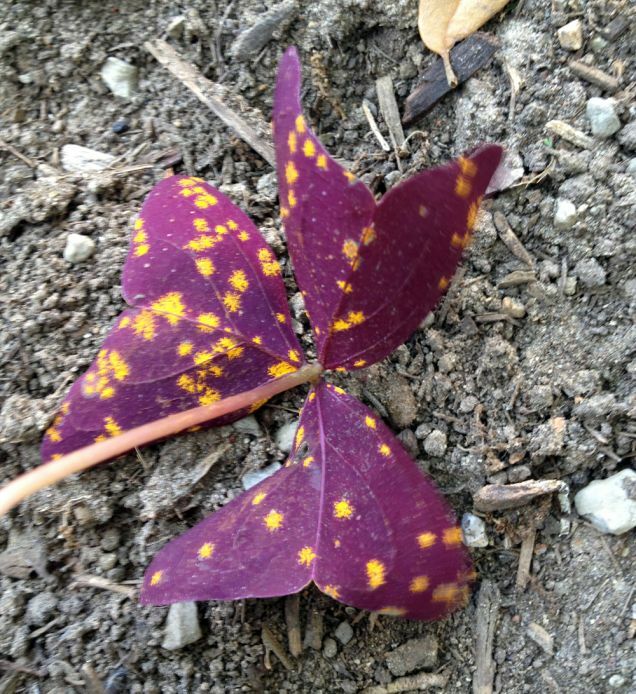 This is a fungal disease that infects oxalis, and alternately, barberry plants. You can reduce the occurance of fungal diseases by watering early in the morning, instead of night time. When natural humidity levels are high it can be tough to prevent diseases like oxalis rust. Often, oxalis will go semi-dormant in summer then re-emerge unaffected. You can use natural fungicides to lessen the effects of the disease.